One of the show we are very excited about this year during the Frieze week is the Museum Of Everything which initiators will be interviewed in the hard copy of the next Vicious Vitamins. The Museum Of Everything is the first London’s first and only public space for artists and creators living outside the boundaries of mainstream society. From janitors to jailbirds, mediums to miners, The Museum of Everything features over two hundred drawings, paintings, sculptures and installations presented within a 10,000 sft former dairy and recording studio, located minutes away from the Frieze Art Fair. 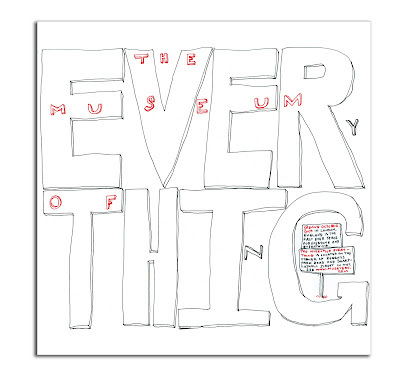 The Museum of Everything formally opens its doors on 14th October 2009, with a gala event on the preceding evening featuring a DJ set by Jarvis Cocker. Museum of Everything: Corner of Regents Park Road and Sharpleshall Street in Primrose Hill, London NW1. , und passt sicher an viele Wände. Das Bild können Sie auf WahooArt.com betrachten und dort auch bestellen. Vicious Vitamins - New Issue SOON !!!! !